The San Francisco 49ers promote responsible drinking and positive fan behavior at Levi’s Stadium. The 49ers alcohol management plan ensures that fans have a safe and fun experience. The San Francisco 49ers expect all fans visiting Levi’s Stadium to behave appropriately and to respect all rules and regulations of the stadium. This includes all local, state and federal laws and / or any verbal or posted directives from the San Francisco 49ers or their representatives. The 49ers may refuse admission to or eject any ticket holder (without refund) who is deemed to be disorderly, displaying or verbalizing obscenity in any way or who fails to comply with these terms or any and all security measures. Please remember that season ticket holders are and will be held accountable for the behavior of fans that use their tickets. We have increased the presence of our alcohol and Fan Code of Conduct Enforcement teams to maintain a positive environment in your section and throughout the stadium. Fans who behave or drink irresponsibly will be escorted from the stadium and subject to permanent loss of season ticket privileges. Fans are required to sit in their ticketed seat location. When necessary, ushers will request to see ticket stubs prior to a fan entering a seating section as we believe that it is a reasonable expectation to arrive at your seats without having them occupied. We are committed to creating and maintaining a safe and enjoyable experience for all guests visiting Levi’s Stadium. Thus, we ask for your assistance as we continue to address the behavior of those who might negatively affect your game day experience. Fans are encouraged to send an anonymous text to stadium management to report violations of the Fan Code of Conduct. There are 4 locations of the Bud Light “Good Sport” designated driver program at Levi’s Stadium. Fans who pledge to be designated drivers receive a complimentary soft drink and a chance to be selected as the Designated Driver for the Game. Designated Drivers for the Game are recognized on the stadium video board and receive a special prize from the 49ers. 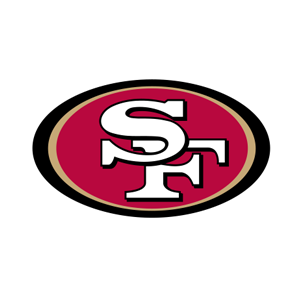 For the first time in the 2016 NFL season, the San Francisco 49ers have joined the Seattle Seahawks and the Arizona Cardinals in the Bud Light Good Sport Designated Driver Challenge. 49ers fans who pledge to be designated drivers at Levi’s Stadium earn the 49ers a touchdown (6 points) in the Challenge. 49ers fans who “Like” the 49ers Designated Driver Challenge Facebook page earn the 49ers an extra point in the Challenge. Please make the pledge to be a responsible 49ers fan and help the 49ers win the Challenge!